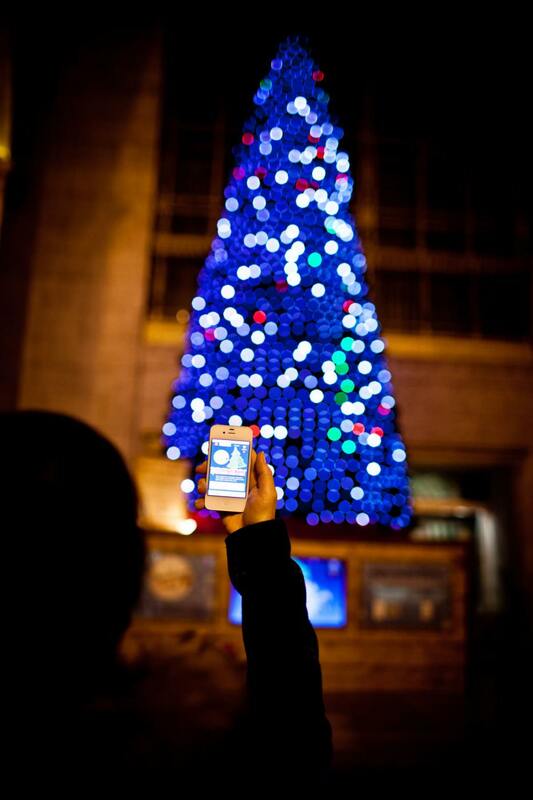 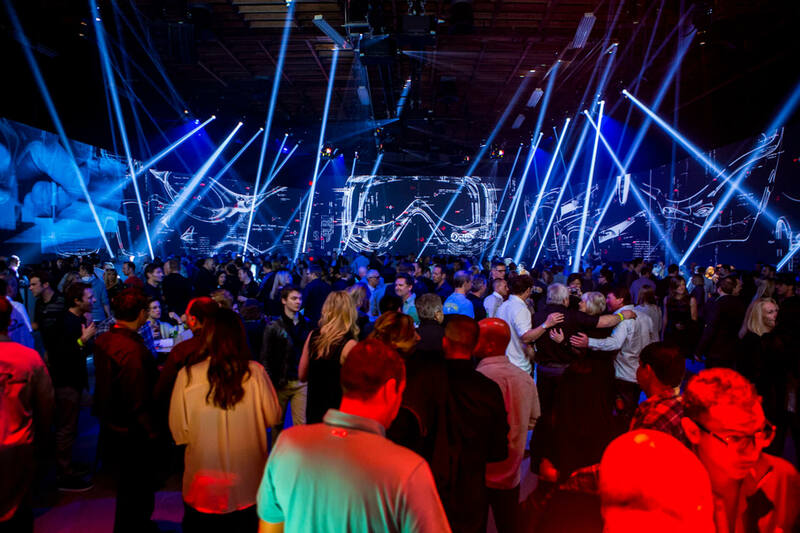 A company's legacy and culture of disruption celebrating its way to an innovative future. 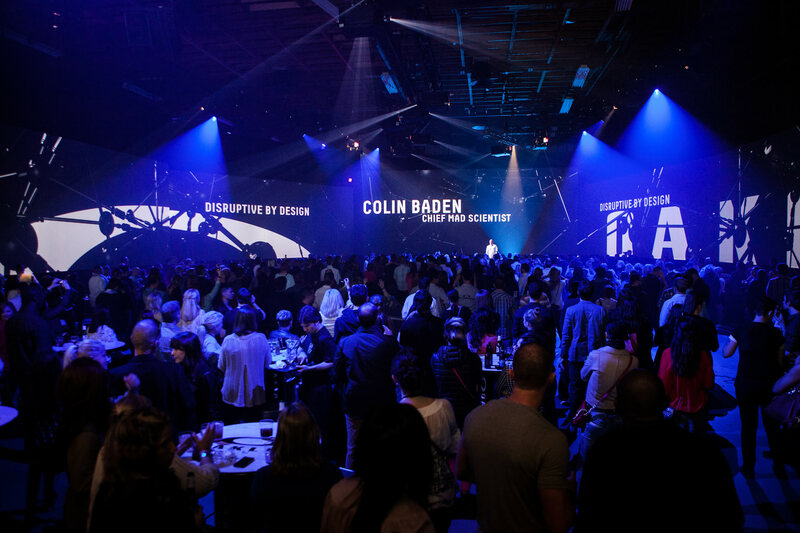 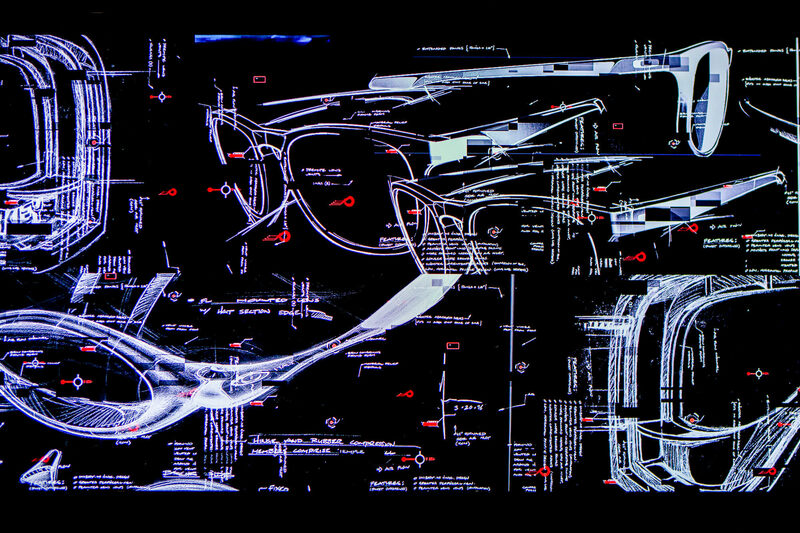 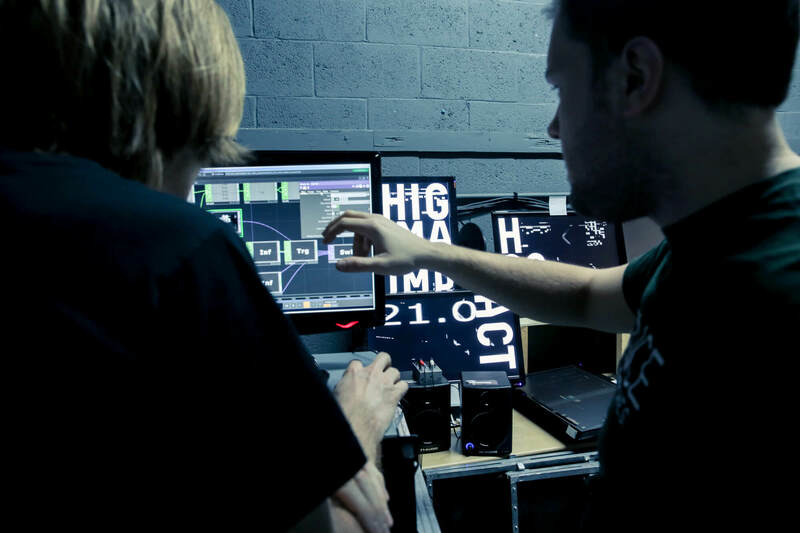 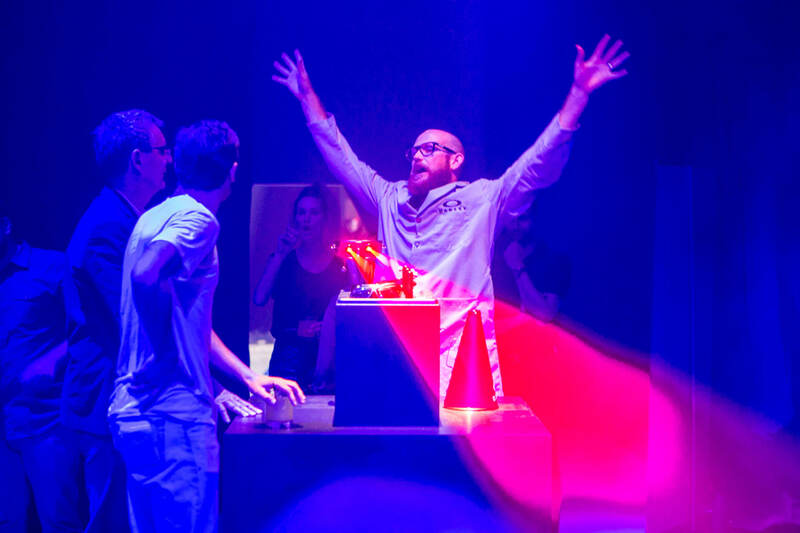 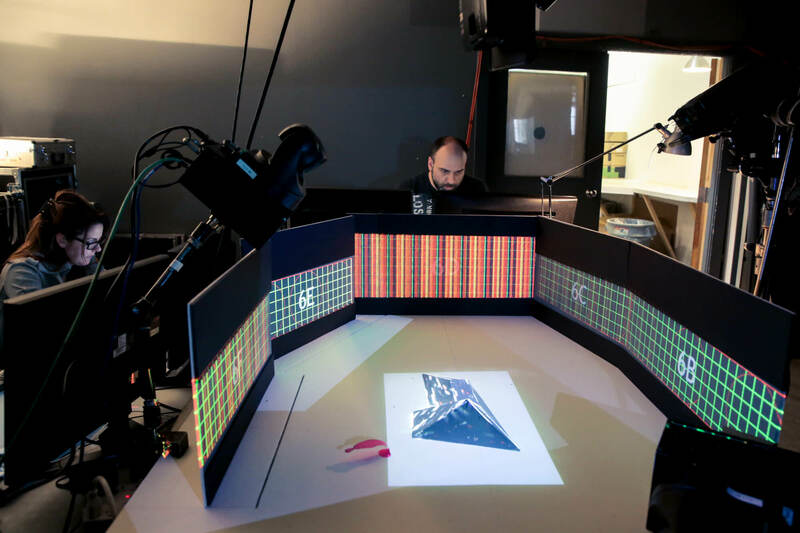 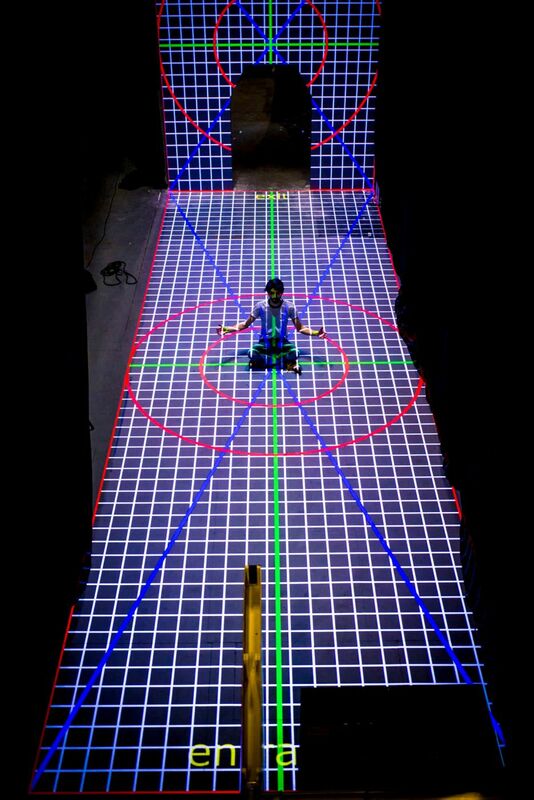 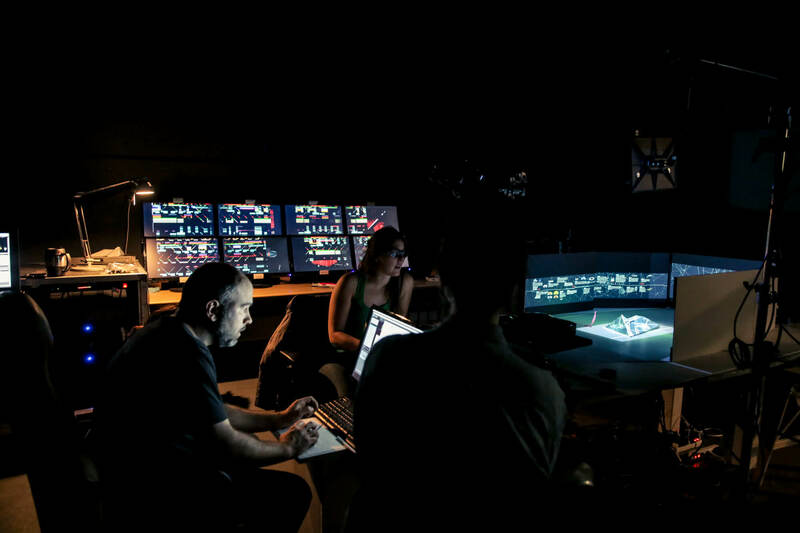 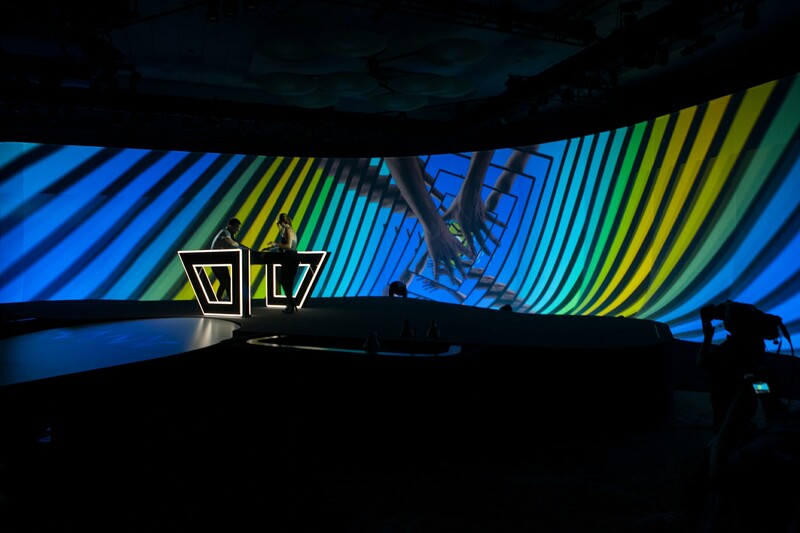 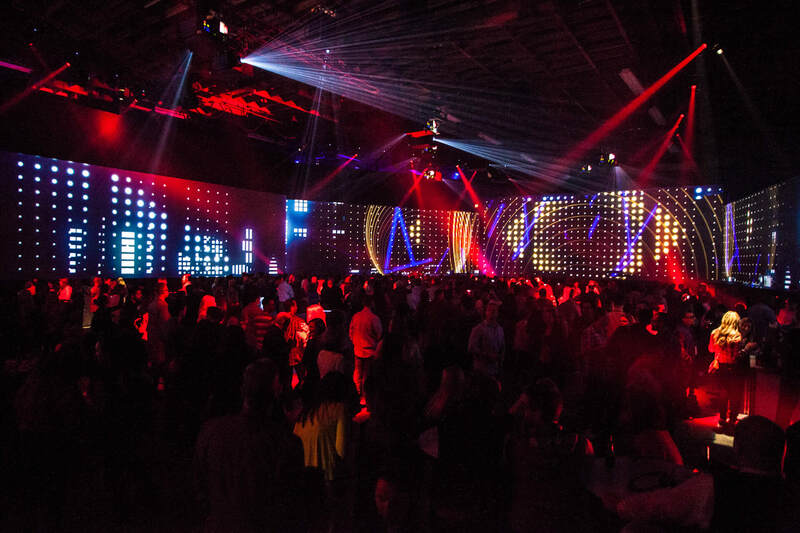 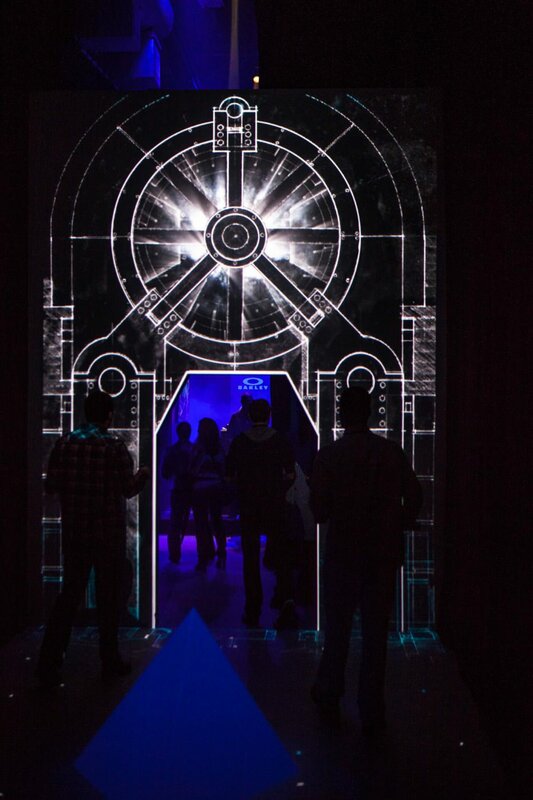 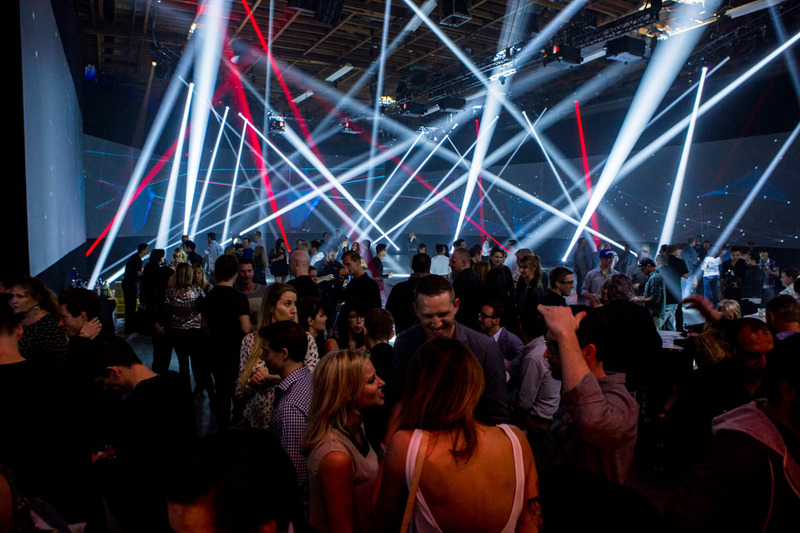 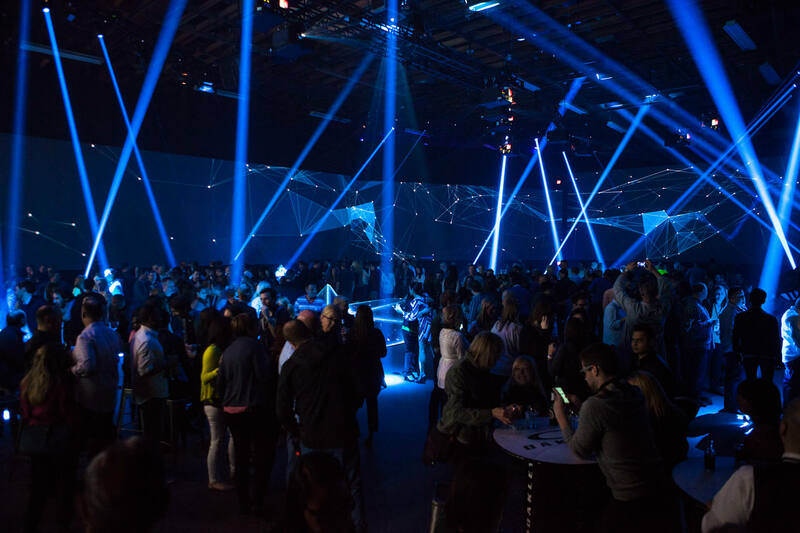 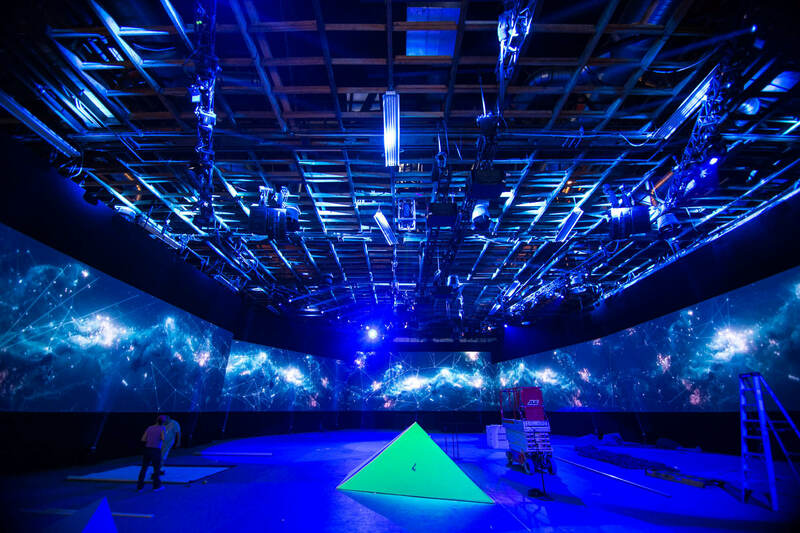 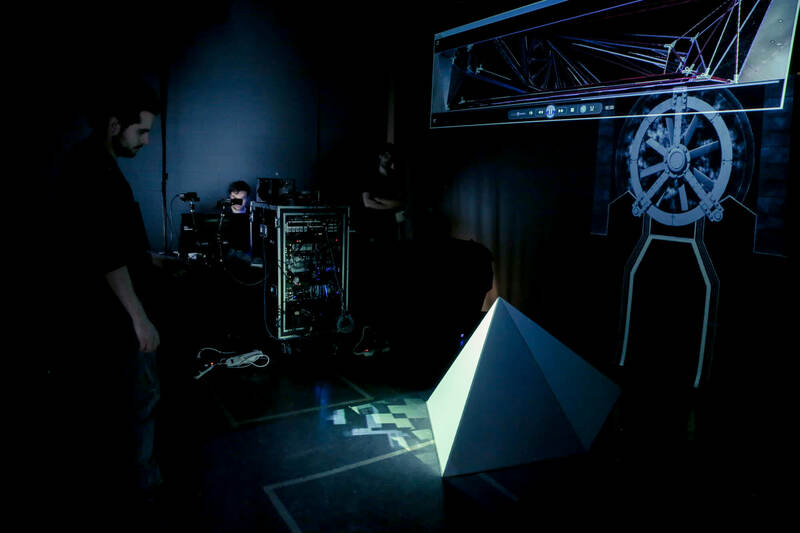 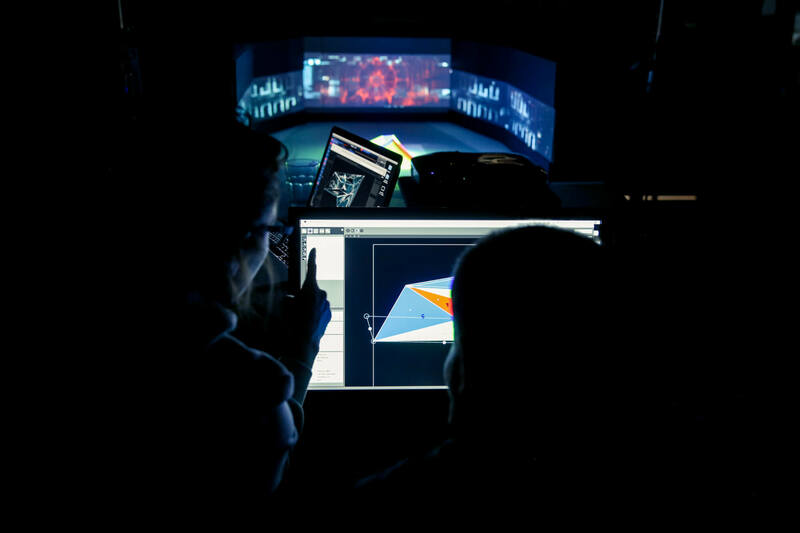 For the launch party of its new Disruptive By Design campaign in 2014, Oakley commissioned Moment Factory to create and produce a multimedia environment. 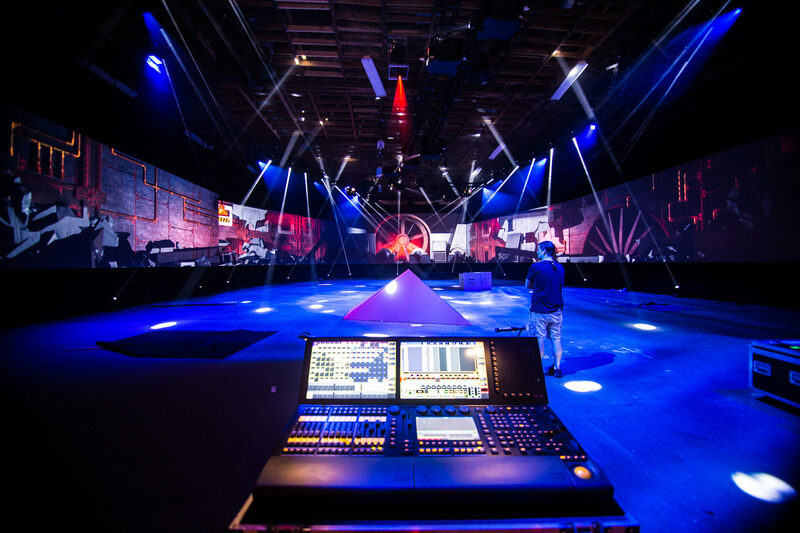 This major industry event, held at Studio Red in LA, celebrated the company’s legacy and culture of both disrupting the status quo in sports technology and opening the path toward future innovation. 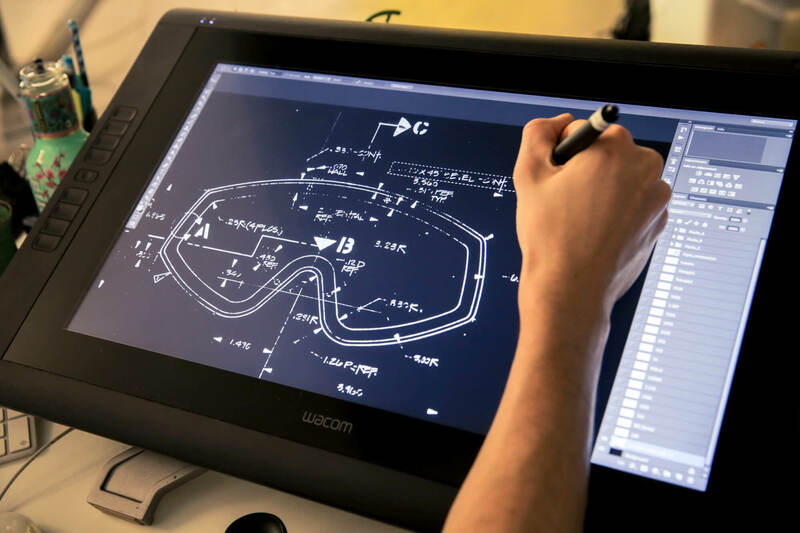 An intriguing challenge we faced in designing the concept was how achieve brand integration by sharing new ideas with consumers. 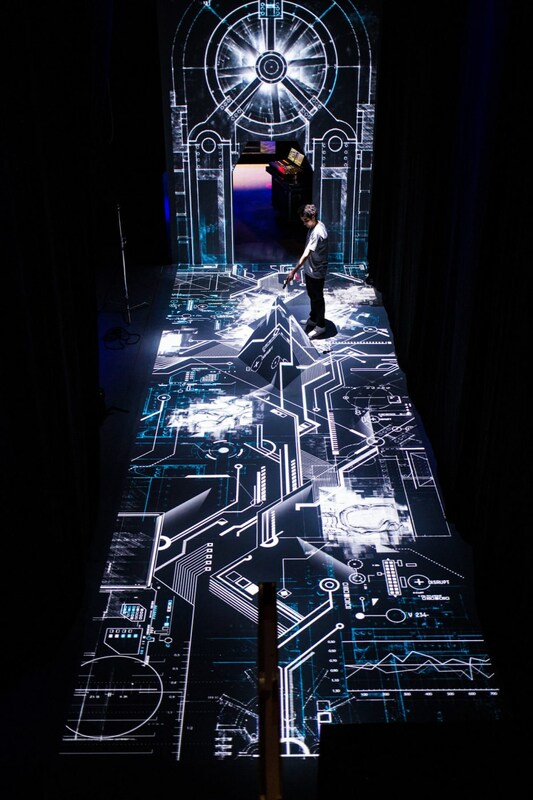 To answer the question of brand integration, we created 3D interactive spaces where, with infrared pointers, guests revealed brand-relevant content on walls and floors, triggering real-time audio and video effects with their pointer. 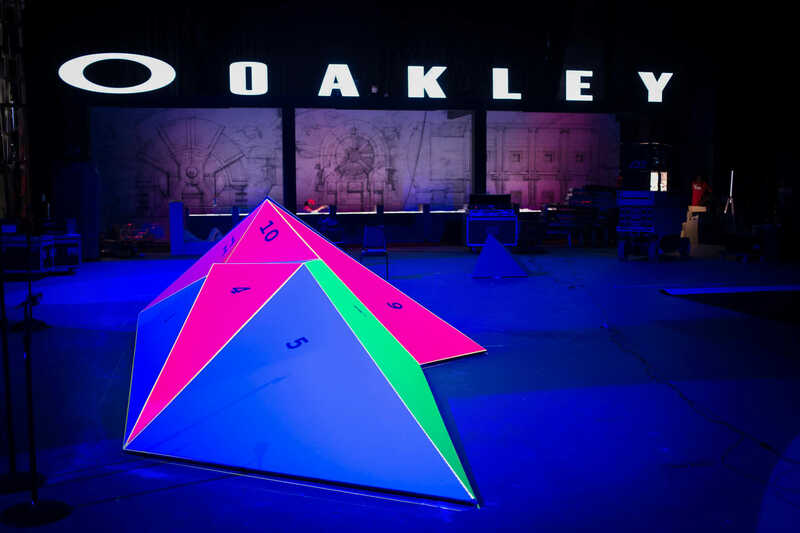 Equipped to interact at random with the space and enjoy an active experience of discovery, these rooms offered visitors a fun way to engage with Oakley’s inspiration and branding. 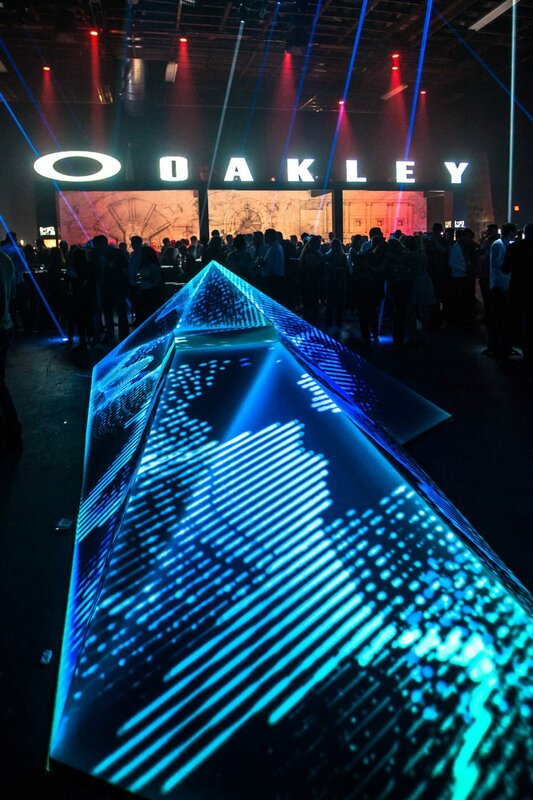 Another key element: Moment Factory created a surround-space featuring 270-degree projection, which first highlighted Oakley CEO Colin Baden’s speech, a top moment in the night’s festivities. 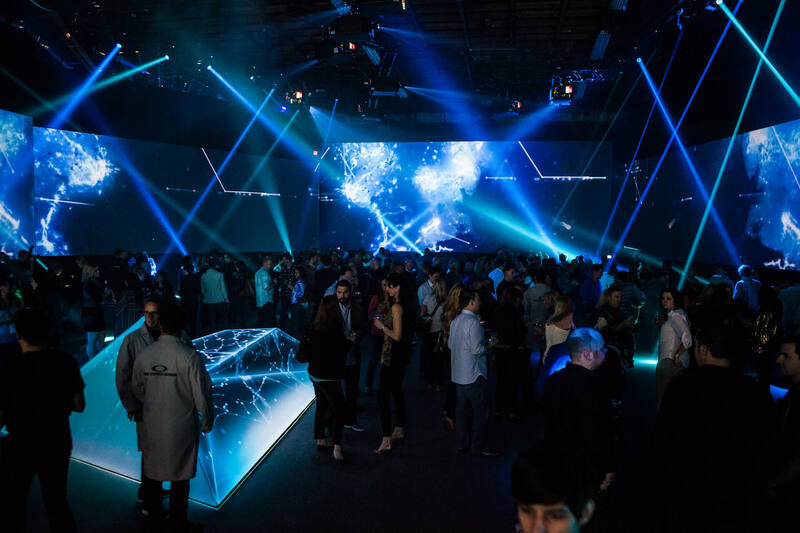 Later, the surround-space enveloped guests in an immersive environment for the cocktail reception, bringing a very different feeling to the studio. 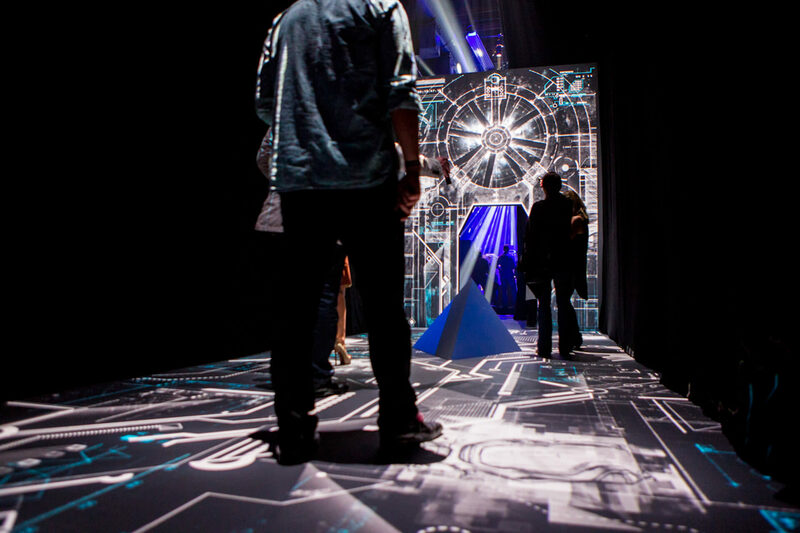 Working with several spaces, Moment Factory delivered an immersive interactive experience touching on the brand’s history, values, and avant-garde designs.